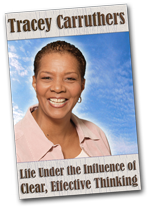 "Life Under the Influence of Clear, Effective Thinking" is a foundation that will inspire your desire to tap into your innate capacities for Wisdom, Common Sense and Organized Thought. 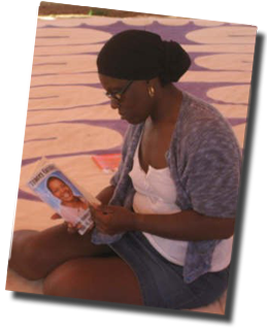 It’s an opportunity to begin your personal and professional transformation. 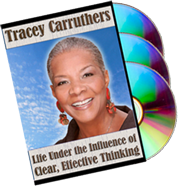 Please allow FLASH to be able to hear this chapter of Tracey Carruthers Audio Book, "Life Under the Influence of Clear, Effective Thinking. 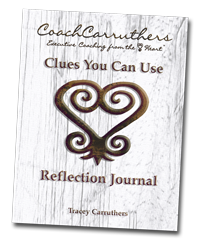 In this Personal Discovery Reflection Journal, Tracey offers insightful, heartfelt guidance through the use of wisdom-filled quotes called “Tracey’s Truth”. Comes in 8-1/2" x 11" Soft Cover Reflection Journal. 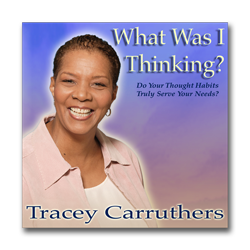 In “What Was I Thinking?” Tracey dives into the subject of your Thought Habits, and helps you discover if they truly serve your needs. 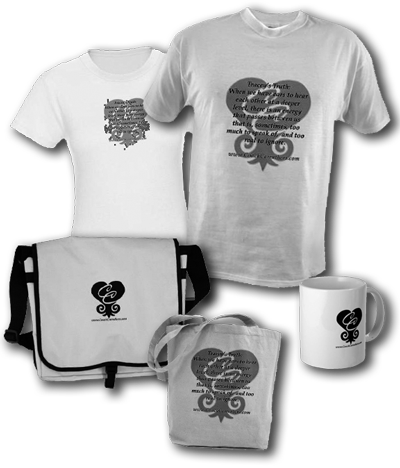 Inspirational clothing and gifts for men, women and children. Messenger bags, carry-all bags, mugs, and sport bottles that enable you to carry words of inspiration and meaning throughout your day.